Aaron Holland, Bailiwick’s resident playwright, took it upon himself to read one of the world’s longest books, Leo Tolstoy’s “War and Peace.” Grasping Tolstoy’s purpose “to blur the lines between fiction and history, in order to get closer to the truth,” Holland used the classic as a jumping-off place for “Princess Mary Demands Your Attention,” borrowing vigorously from his personal life, recasting the Russian royals as contemporary archetypes to allow for an accessible examination of the lives of fatherless children, religious confusion, love affairs gone awry and the human search for equilibrium. Holland’s gifts for gut-splitting humor and an uncanny sense of dialect that fits in with the rhythms on which the laughs ride are rare magic. His bold attempt works well most of the time, but some of the writing, particularly the monologue sections, feel overindulgent. Director Lili-Anne Brown’s cast acquit themselves admirably. As the patient and long-suffering Christian, David Kaplinsky charms, with no shame in his kissing-game. Rus Rainear gives a master class in comic timing as Stacy, landing one-liners at the audience’s feet and exiting before the guffaws reach their apex. I do wish that the moments that carry the heaviest use of dialect would have been delivered more slowly, so I didn’t miss any of the humor. 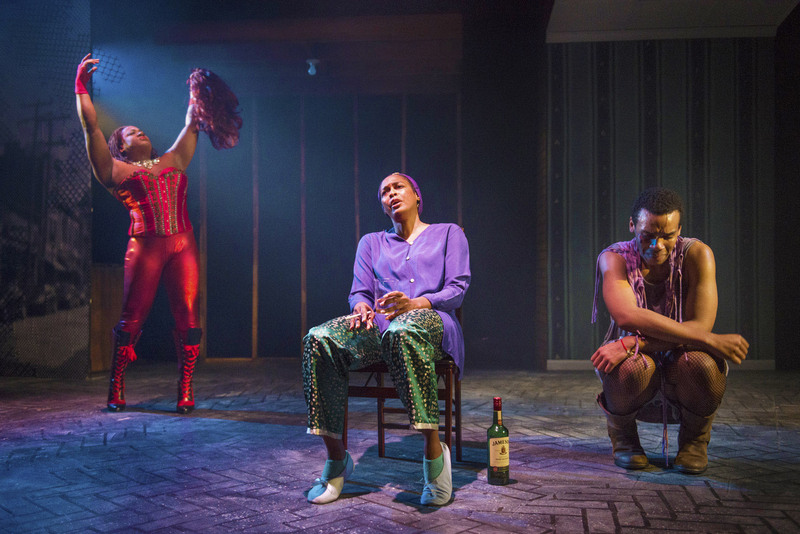 Additionally, I found myself struggling to stay in the world of the play when the ghost, or guiding spirit of drag queen Princess Mary (Baron L. Clay, Jr.), sashays onto the stage. Her motives seem to be to invite the self-examination that would lead to wholeness for the protagonist, Amari Bolkonski (Armand Fields). Bailiwick Chicago at Victory Gardens, 2433 North Lincoln, (773)871-3000, bailiwickchicago.com, $30. Through February 21.